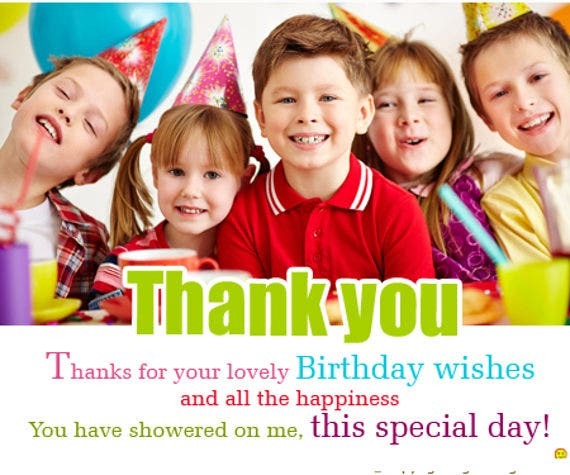 Your guests have already showered you with all their love and attention during your birthday party. Now is your chance to give back by sending them cards that show how much you appreciate their presence and their gifts during your special day. 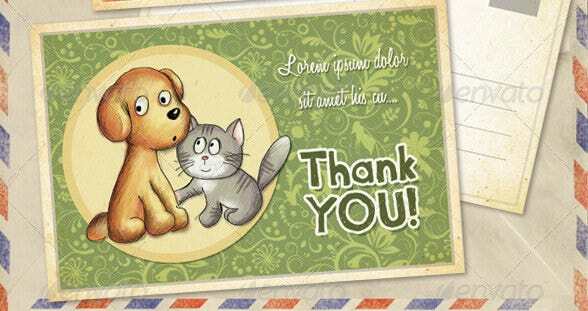 Send them these thank-you cards and show them your gratitude for spending their time to be with you on your birthday. We have the perfect card templates that help in completing the job. The best part? They are all customization and free! So go ahead and shoot them a short note of appreciation using our thank-you cards. Birthday Party Thank-You Card. If your friends and family have gathered to organize and throw you the best birthday party yet, this thank-you card is the perfect one to send. Birthday Gift Thank-You Card. 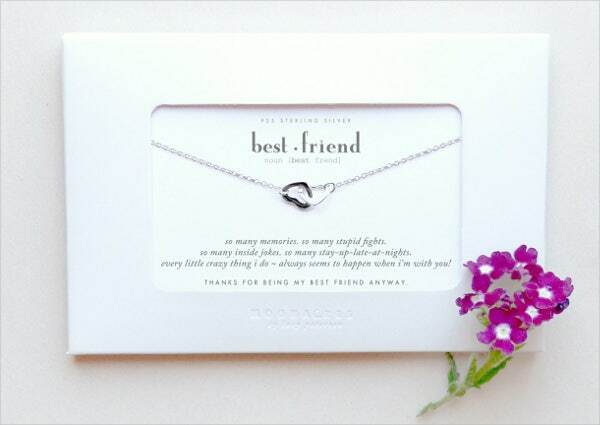 For party guests who were thoughtful enough to bring you a gift to your party, use this template to tell them a short and sincere thank-you. This card is the best opportunity to say that you value the thought of the gift more and how it can better your life for a more personal touch. Printable Birthday Thank-You Card. This printable template is excellent to use as you can print them even with just a basic printer at your very own home. 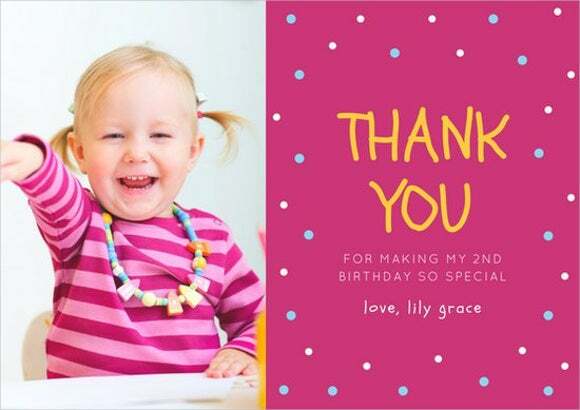 Incorporate your very own message in the card and print for a unique thank-you card. Birthday Photo Thank-You Card. Level up your thank-you card by adding in your own photo or a group photo to remind everyone of the good times. 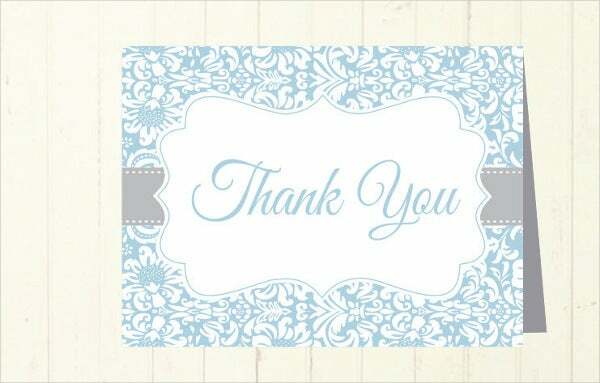 This thank-you card is sure to end up o your guest’s refrigerator door as memorabilia. Barbie Birthday Thank-You Card. It is never too early to teach kids the admirable practice of sending thank-you cards. 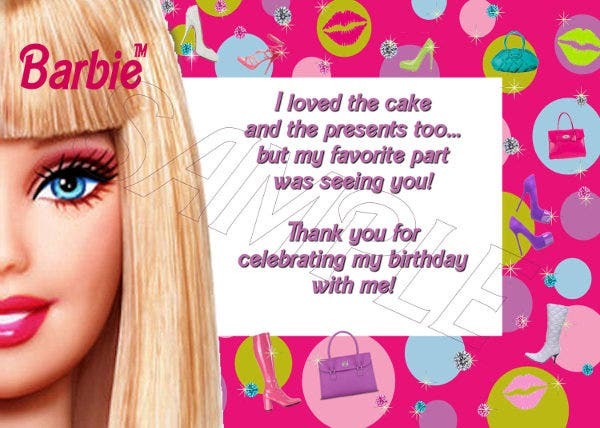 For kids’ birthday parties with a barbie theme, this thank-you card will work best. 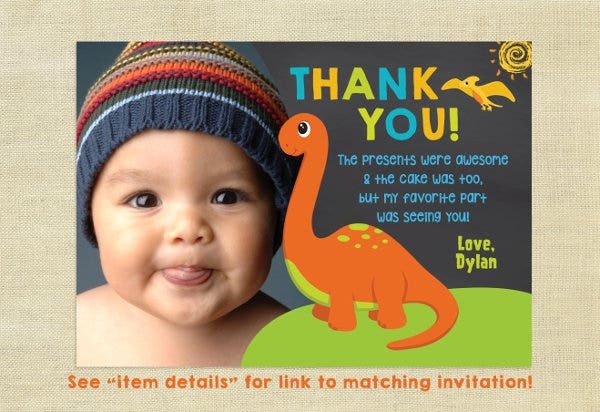 Baby Birthday Thank-You Card Template. A baby’s first birthday is extremely monumental. 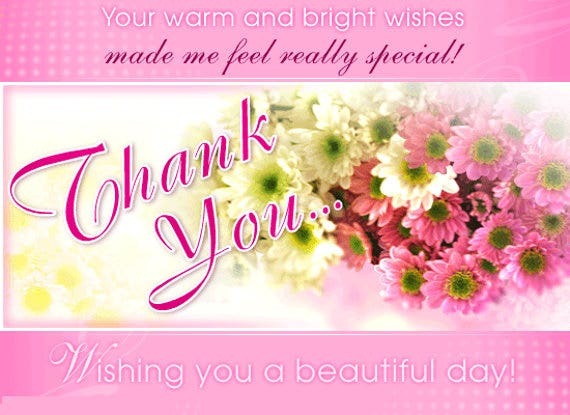 Sending thank-you cards will communicate that you appreciate you guests of their efforts to come to the party. If you are looking for more birthday-related card templates, take a visit at our birthday card templates section and see more designs that are easy to customize and send out to guests.